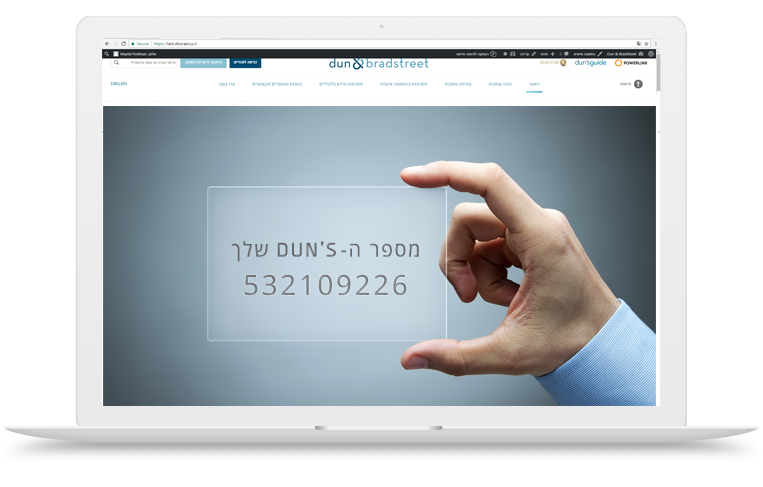 A D-U-N-S® Number is a unique nine digit number assigned to individual enterprises and designed to identify businesses worldwide. Currently, over 300 million businesses have a D-U-N-S® Number and enjoy its many benefits. These include establishing credibility and providing a sense of security about the company to business partners, potential clients and loan or credit providers. United States as well as to millions of businesses worldwide, enabling them to be chosen as legitimate suppliers and more. Interested in D-U-N-S Number ?